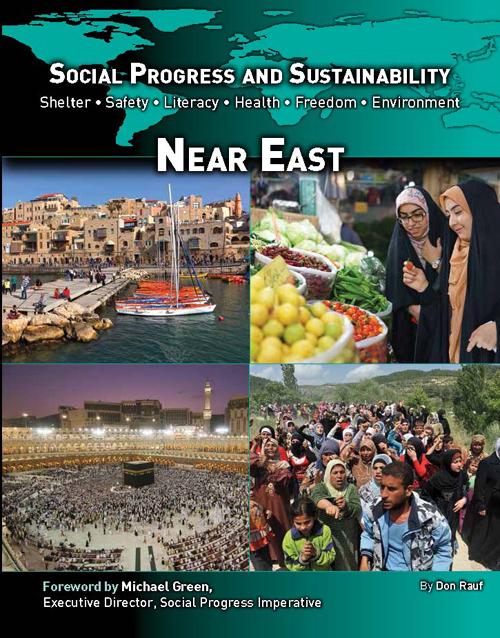 When it comes to social progress and sustainability, the Near East faces many challenges. In this region where three major religions–Christianity, Judaism, and Islam–originated, Islam is the mostly widely followed. Religious differences have caused tensions throughout the region's history–even among those of the Islamic faith. Religion is a driving force in the governments, and some leaders have used religion to justify authoritative control–limiting democracy, individualism, and freedom. In recent years, millions of people have fled political violence in hope of better lives elsewhere. Nonetheless, some countries are progressing toward tolerance and greater personal rights. 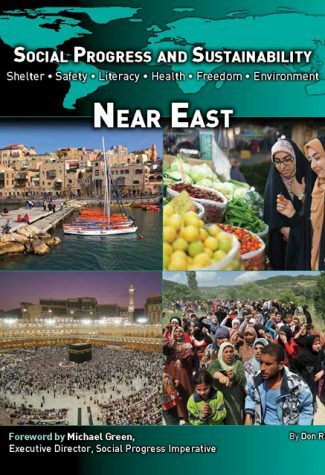 The Near East is also characterized by great economic differences, from very rich oil-producing countries to very poor nations experiencing political instability. Wealth distribution is very uneven, as in many parts of the globe. Moreover, fresh water is scarce in this part of the Earth. Because of these religious, economic, and environmental issues, the Near East is weaker in terms of social progress and sustainability compared to other areas, but if balance and tolerance can be maintained, this area, which is rich in culture and religious history, may thrive and prosper.